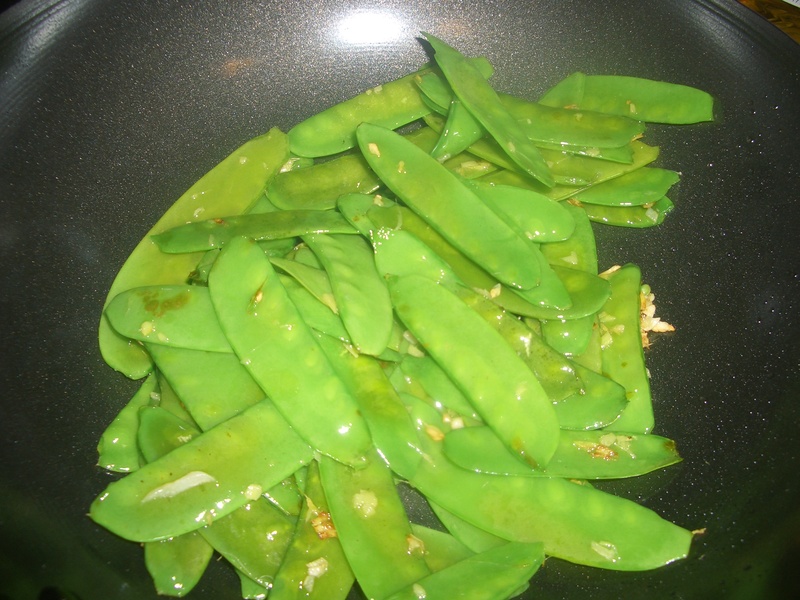 Tamari (soy sauce minus the wheat), one of the pantry staples I was using when merely gluten-free, is now off limits since I’m paleo and beans are out. 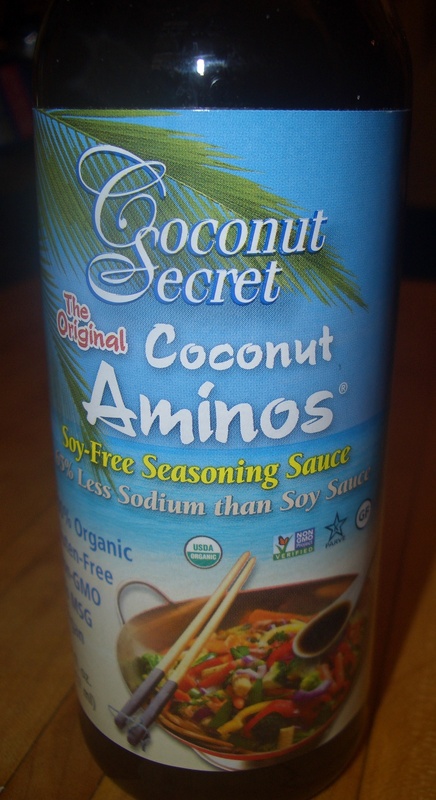 The paleo substitute for soy sauce is coconut aminos. 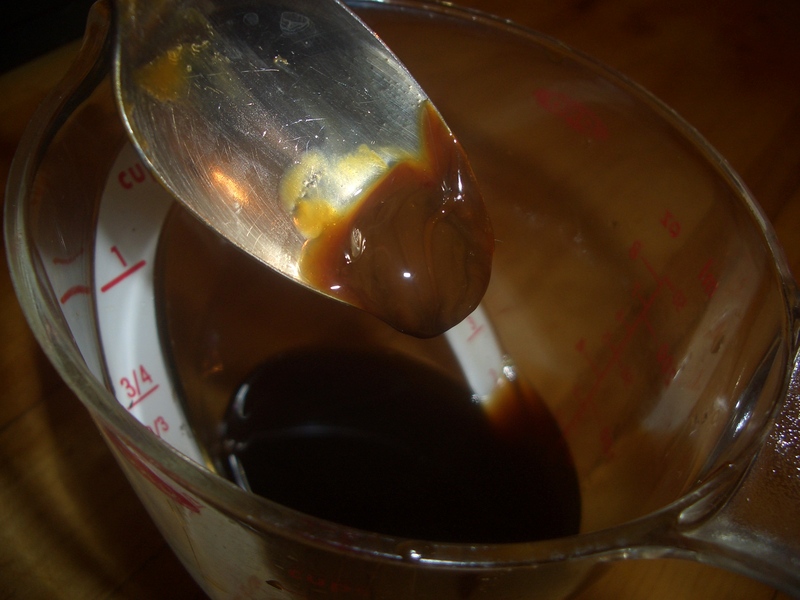 It’s true that it tastes sort of soy sauce-y, but in truth it tastes much more like teriyaki sauce – meaning it’s much sweeter and much less salty and concentrated than soy sauce (coconut sap blended with salt – whatever that means). 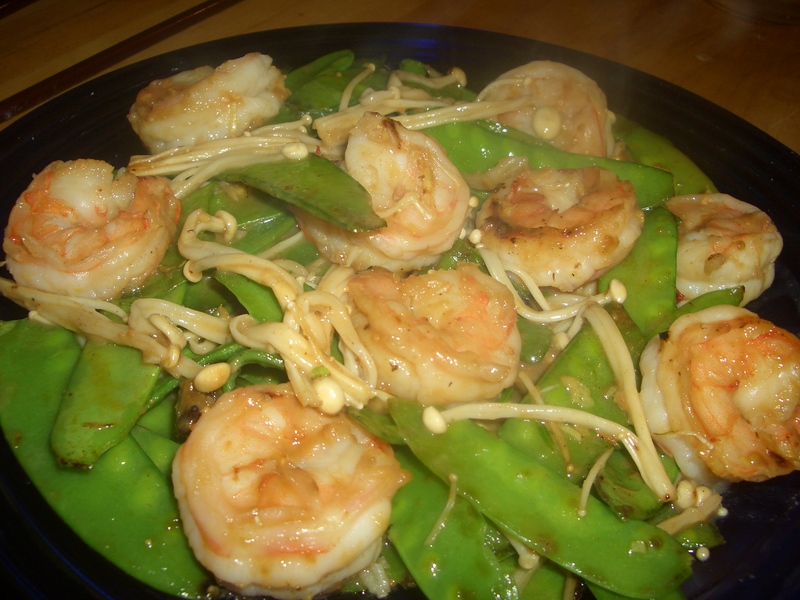 It actually makes a yummy dipping sauce for sashimi when mixed with wasabi – better than soy sauce to my way of thinking, but when it comes to cooking stir-frying or making marinades, they come out lacking something (flavor?). Not being someone who rests content with less than good, I let my little scientist alter ego wander and I think I’ve found an excellent answer. Marmite. Huh? 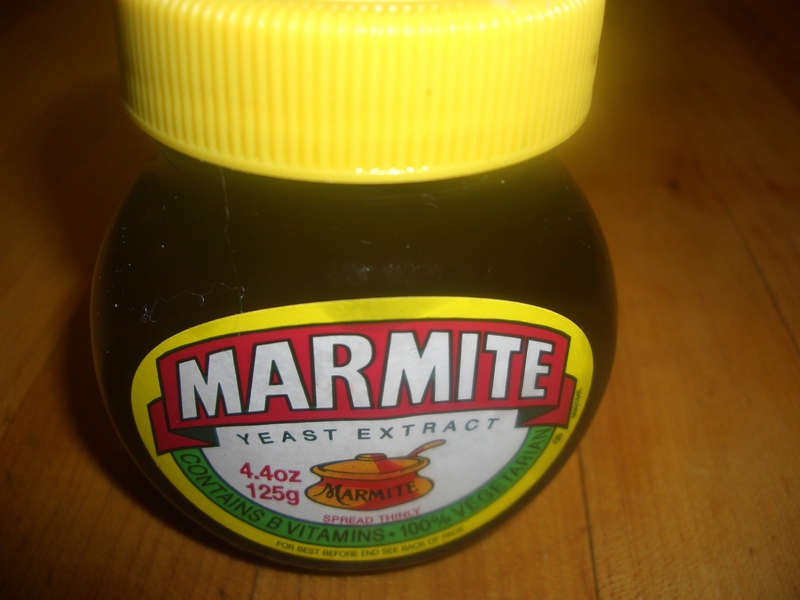 Marmite is a pretty vile tasting goo that is popular with the British, especially the colonials so I am told. I was having coffee with my friend Pene ( who happens to be South African) and we were talking about breakfasts. She mentioned that one of her favorite breakfast items is buttered toast with Marmite. In an effort to enlighten me she brought out the the jar of Marmite and put a little on a spoon for me to taste. OMG – ghastly!!!! The only way I can describe it is a prune colored, thicker than syrup substance that tastes like pure salt with a hint of bitterness. 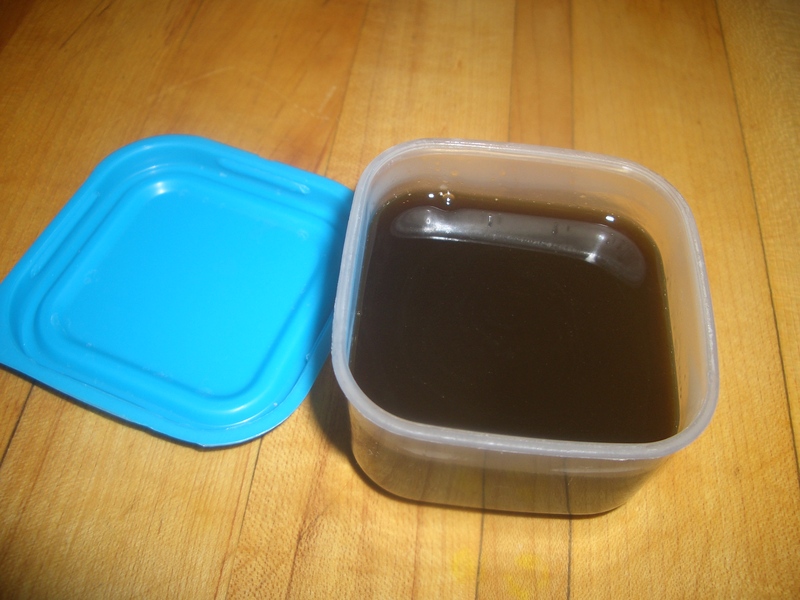 Now I’ve seen jars of Marmite in stores but never really gave it much thought but now that I tasted it a light bulb went off in my brain – paleo soy sauce! 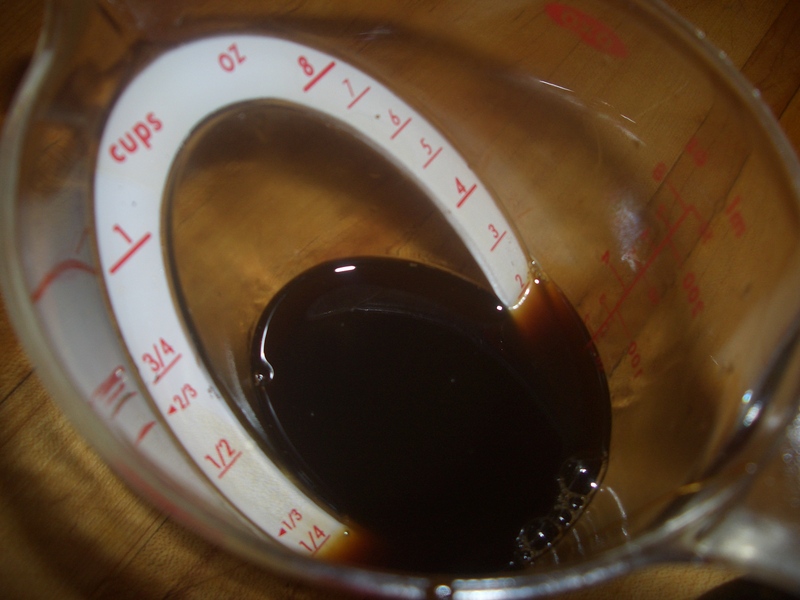 Think about it…if you thinned out the marmite, wouldn’t that be pretty much the same as soy sauce? 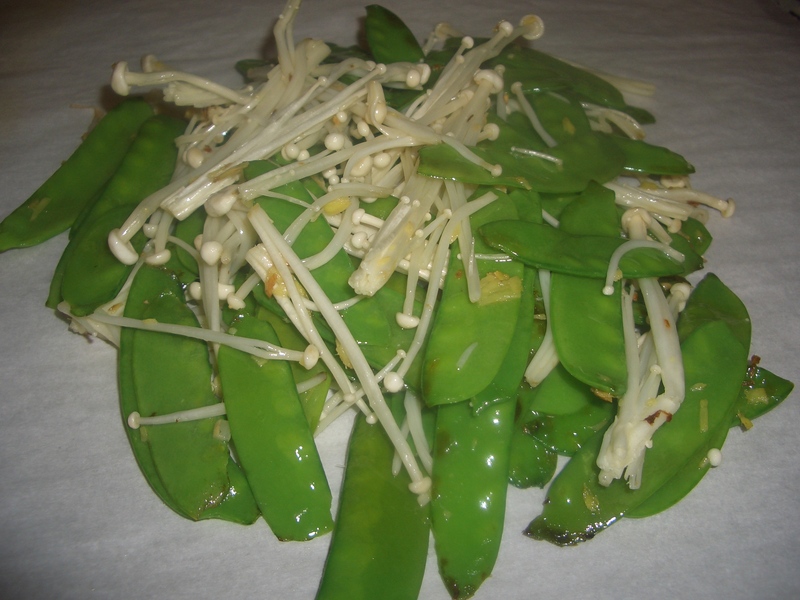 I could have left it at that, but truly I wasn’t looking for an inedible substitute for soy. I went directly to Zabar’s (our local super delicacy market) and picked up a jar. When I got home, I started playing with the proportions of marmite to coconut aminos. I actually needed more Marmite than I had predicted, but in the end, I believe I have a very satisfactory soy sauce for those of us who don’t eat soy. Heat 1/4 cup coconut aminos in a microwave oven until warm (about 20 seconds); stir in 1 teaspoon marmite (or more or less to taste) until dissolved. Pour into storage container and store in refrigerator. 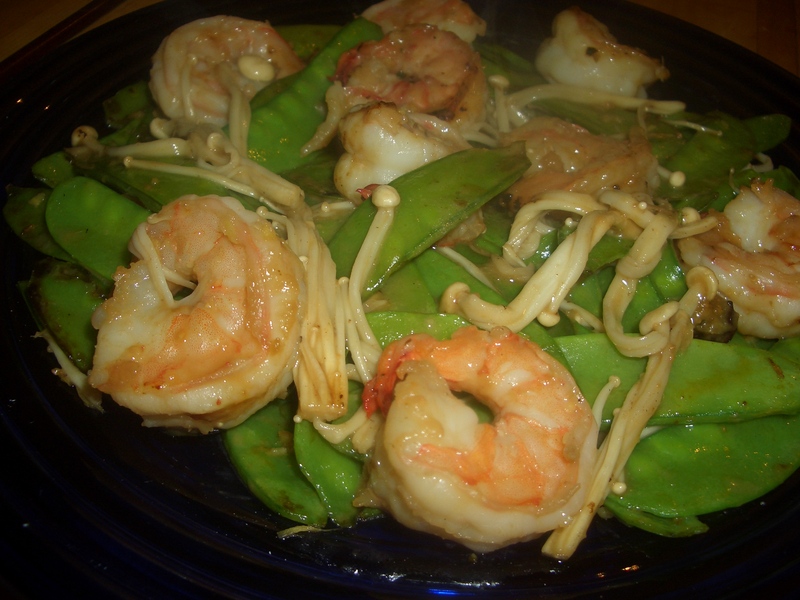 This recipe can be made with any protein you like and you can vary the vegetables too – use broccoli or green beans or any vege you like instead of the snow peas. 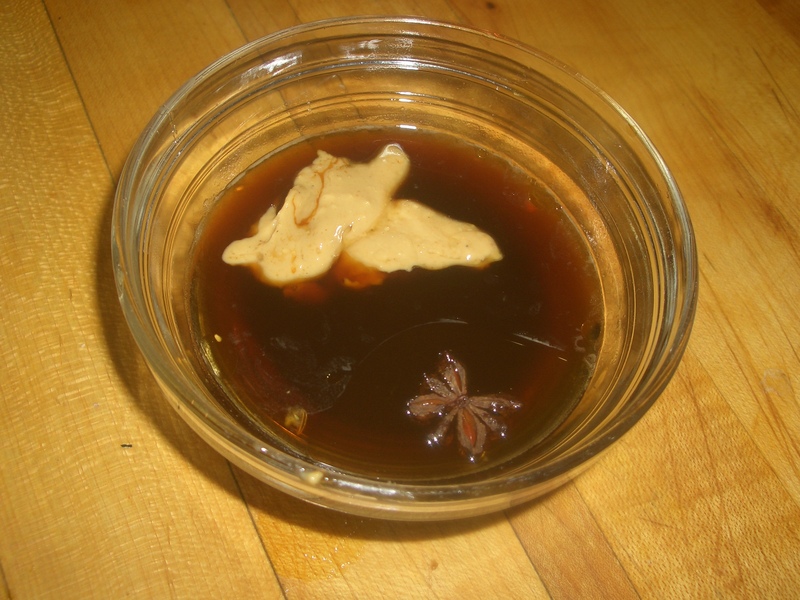 In a small bowl, combine the soy sauce, cashew butter, honey, sesame oil, and five spice powder or star anise; set aside. 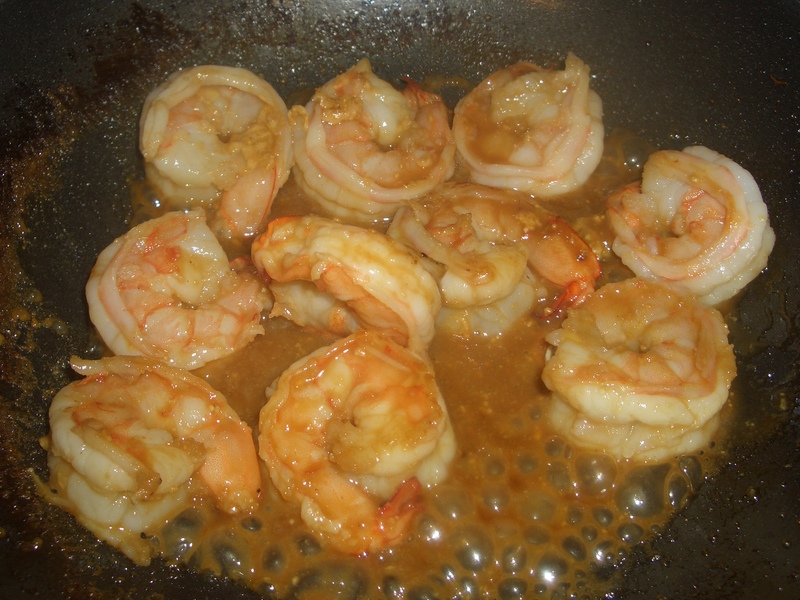 In a non-stick wok or medium skillet, heat 2 teaspoons of the oil, over high heat. Add the ginger and garlic and cook, stirring, 30 seconds. 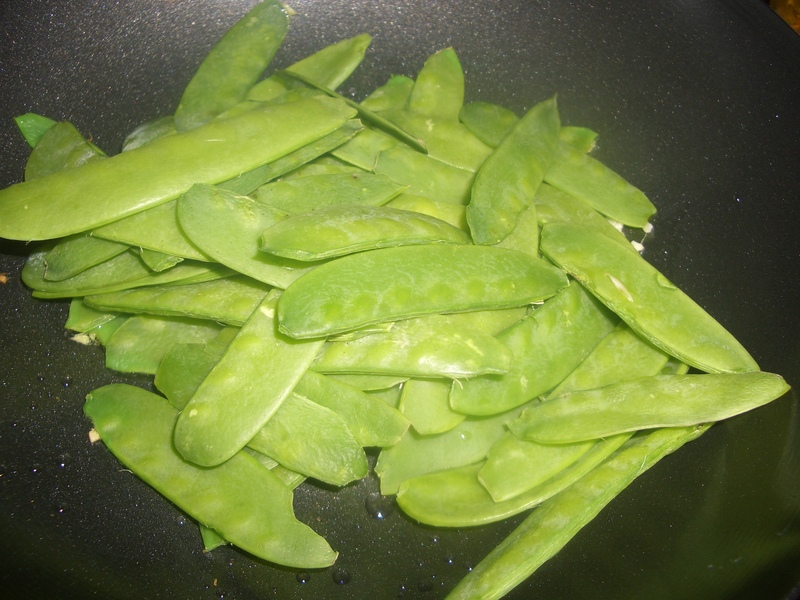 Add the snow peas; cook, stirring until they turn bright green. Add the mushrooms and cook, stirring, until softened. 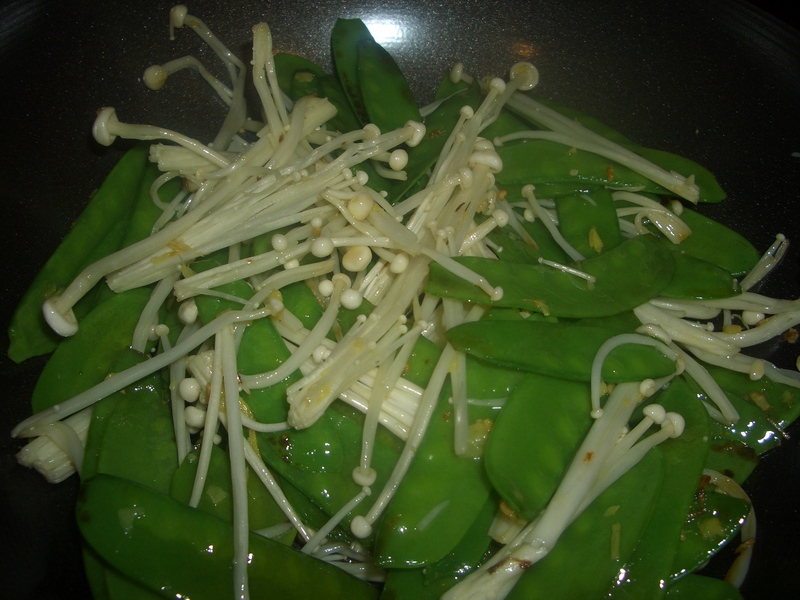 Remove vegetables from wok; set aside. 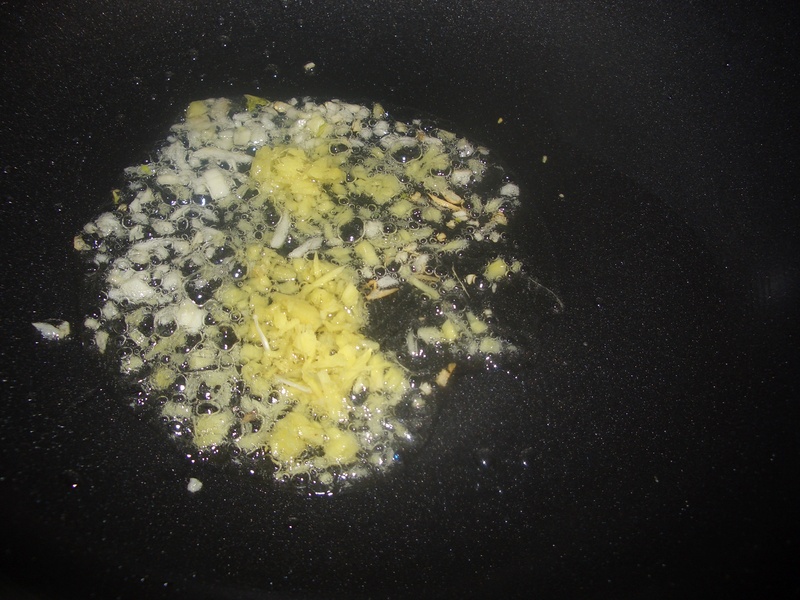 Add the remaining 1 teaspoon of oil to the wok/skillet. 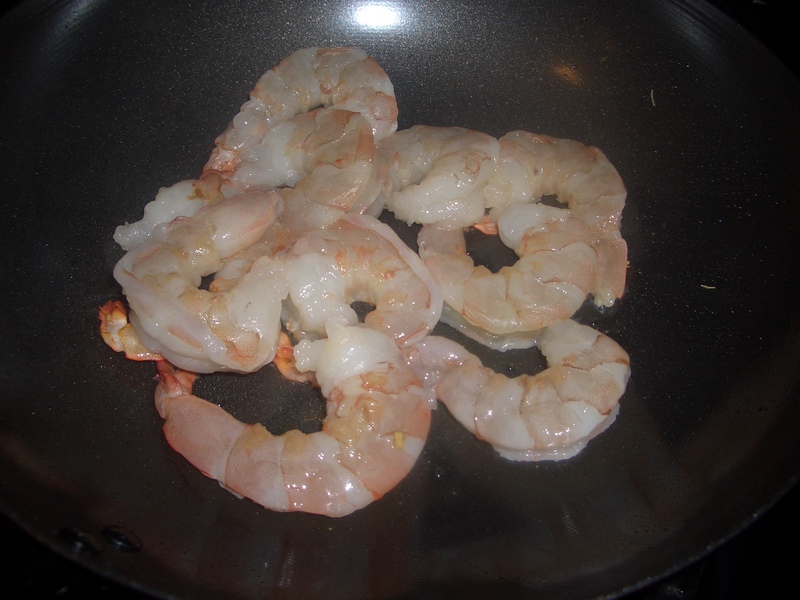 Add the shrimp and cook, stirring until almost cooked through. 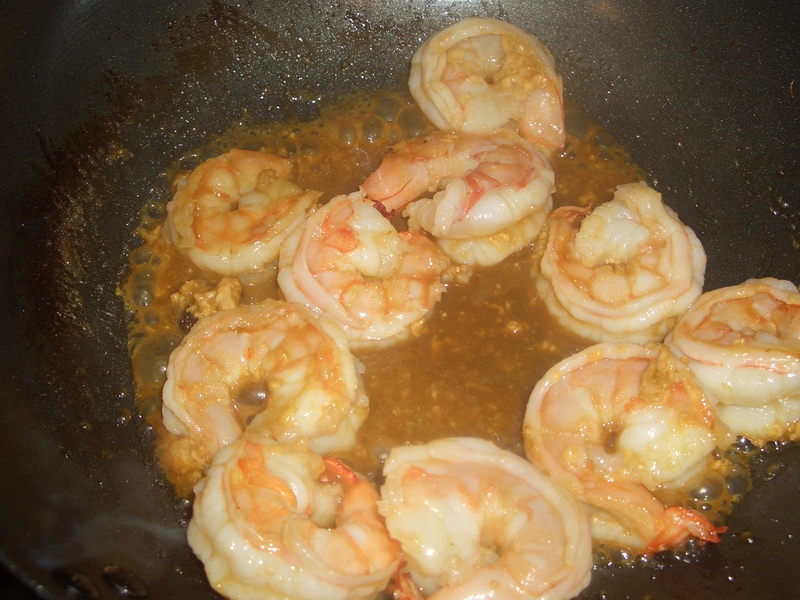 Add the sauce and cook, stirring until thickened. Add the reserved vegetables and cook, stirring until heated through. 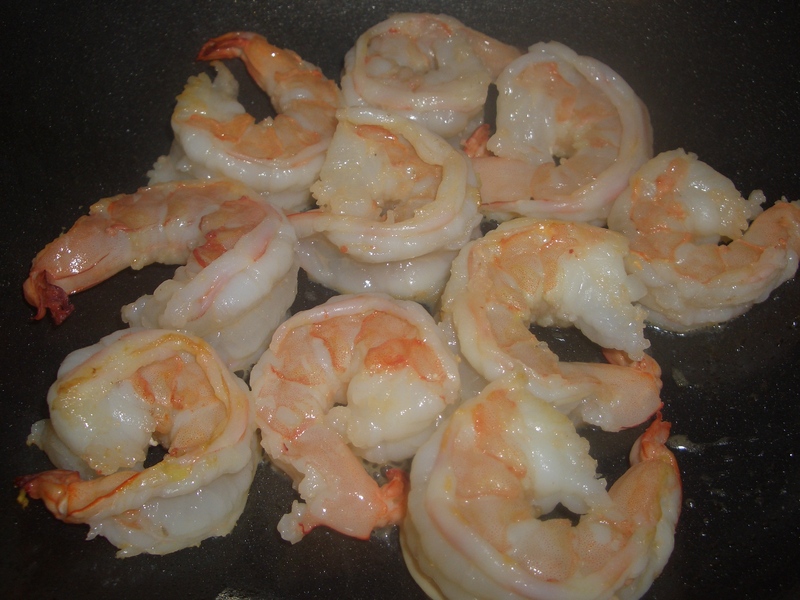 Place on serving platter or individual plates.